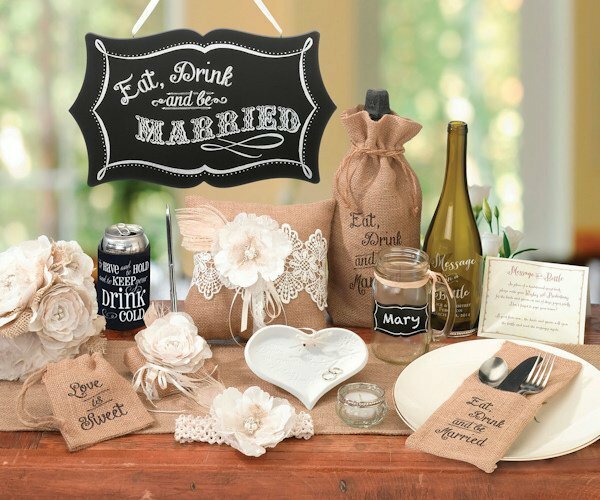 With a perfect balance of both rustic and elegant elements, this burlap and lace ring pillow is right on trend with the much sought after shabby chic style. 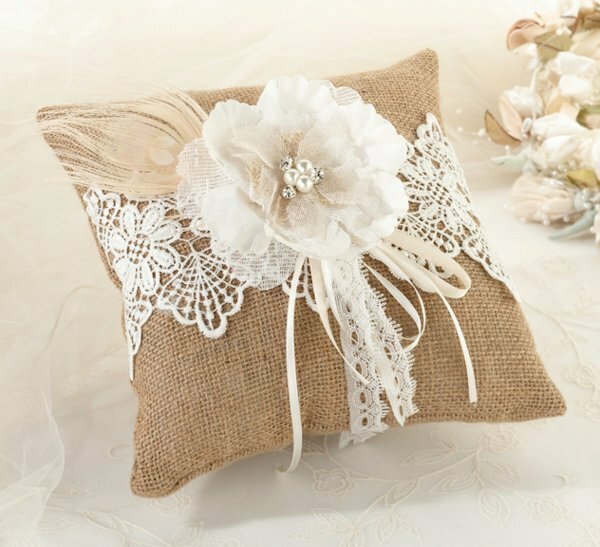 This adorable pillow is covered with burlap and accented with a flower in the center that features lace, pearl and rhinestone details. 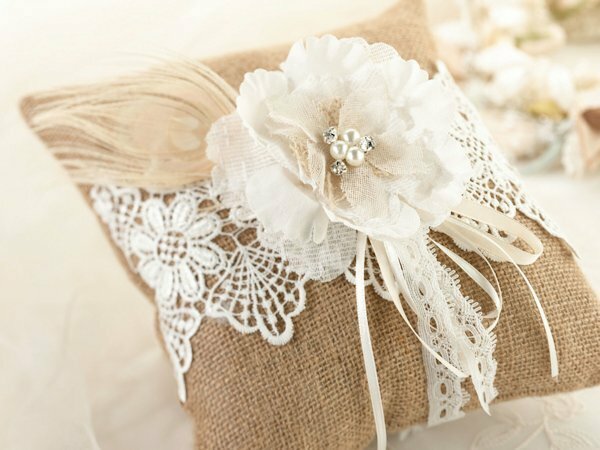 The pillow also has an intricate piece of white lace that spans the center of the pillow and is complete with ribbons, lace and natural peacock feather. It measures 8" square.